A few ground rules for readers of this post: don't get lost in the metaphor here. I'm sure you've got a really clever angle on the McDonaldization of virtualization, or the paleo-inspired server diet you're promoting (and my my, aren't you fit?). But temper your white-hot desire to boast; we're all sure you're terribly smart. Now. On to the meat of this post. I'd like a seasame seed bun, a club, two burgers, some slices of cheese, lettuce, onions, pickles, catsup, and some "secret" sauce, please. 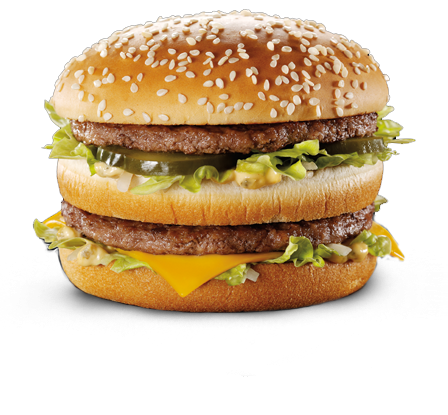 It's because the Big Mac isn't just some collection of things. It, itself, is the thing. It's the unit of measurement with regard to hunger. Well, sometimes. It's also a perfect metaphor for hyperconvergence. We've got to stop thinking about virtualization as a collection of things. Rather, it, itself, is the thing. Cisco squinted hard years ago and saw hyperconvergence on the horizon, and Project California begat Cisco UCS. UCS converges server and network (and storage, too, with the Whiptail acquisition from last year). Nutanix implements convergence of server and storage resources, which avoids the storage networking problem altogether. Dell's VRTX tries to do all three, but to date I've neither seen nor heard of a single implementation of this product (though to be honest, whether I've seen or heard of something is indicative of nothing). The point is that no one treats virtualization like the product of multiple, discrete resources. It's not storage + server + network. It's virtualization. I've written about the perils of applying yesterday's org charts to today's technology and how isolating your engineers can imperil problem solving. But over the weekend, while we drank copious amounts of cheap beer and jumped into the hot/cold waters of the Chesapeake Bay, a good friend echoed my opinions on org chart silos and the negative impact on IT. So I'm here to tell you again: quit it. Stop segmenting your virtualization infrastructure into Server | Storage | Network teams. It does not work.